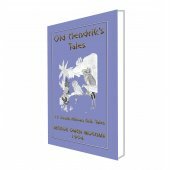 A GREAT READ FOR CHILDREN AND ADULTS ALIKE! 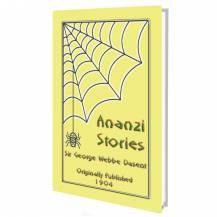 The Anansi tales are believed to have originated in the Ashanti tribe in Ghana. (The word Anansi is Akan and means, simply, spider.) They later spread to other Akan groups and then to the West Indies, Suriname, and the Netherlands Antilles. On Curaçao, Aruba, and Bonaire he is known as Nanzi, and his wife as Shi Maria. He is also known as Ananse, Kwaku Ananse, and Anancy; and in the Southern United States he has evolved into Aunt Nancy. He is a spider, but often acts and appears as a man. The story of Anansi is akin to the Coyote or Raven the trickster found in many Native American cultures. 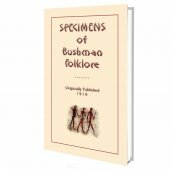 The stories in this short volume were originally, and unusually, an appendix to Popular Tales from the Norse also by Sir George Webbe Dasent. 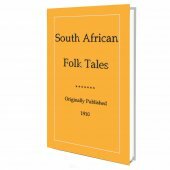 Why he chose to include folklore from Africa and the Caribbean within folklore of the Norse has been forgotten in the sands of time. 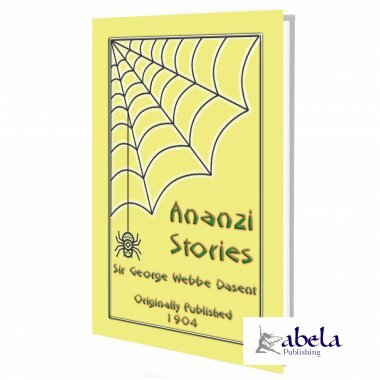 Abela Publishing has elected to republish these as a volume in their own right as an aide to Edgbarrow Schools fundraising campaign supporting the SOS Childrens Village in Asiakwa, Ghana. and a part they set by, and gave it to the girl when she came in. Whilst she was eating, a voice said, "Do you know what you are eating? I am he you have so often talked with. If you look in the pig's tub you will see my heart." Then the voice told her to take the heart, and wrap it up in a handkerchief, and carry it to the river. When she got to the river she would see three stones in the water; she was to stand on the middle stone and dip the handkerchief three times into the water. All this she did, and then she sank suddenly, and was carried down to a beautiful place, where she found her lover changed from a fish into his proper form, and there she lived happily with him forever.